Anza-Borrego heat and new friends. Yesterday we got to spend the day riding with new people on some gorgeous roads. 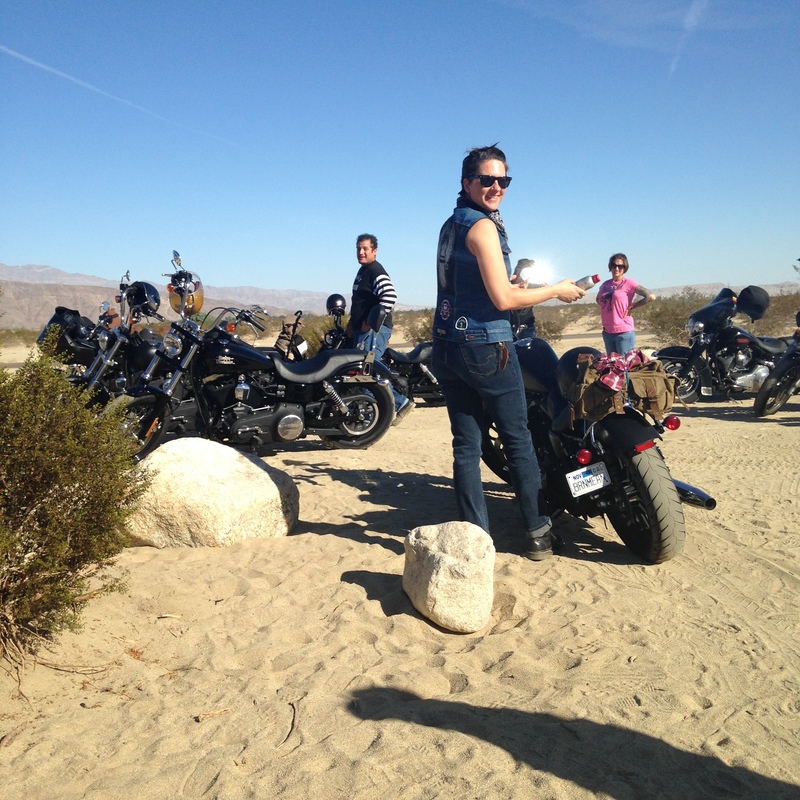 Beulah Mae, one of the lovely the Socal Sirens planed a day of twisty roads and good times. 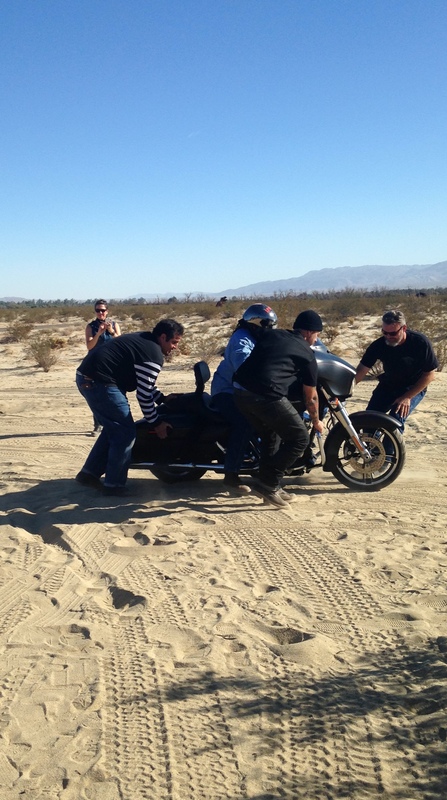 We meet at Quaid Harley Davidson in Temecula and took off from there. The group was a lot of new faces, new bikes but one constant is that most of us were there because of this desert. A year ago a few of us met when we decided to take a chance and attend Babes in Borrego last year. And some of the ladies met at Babes in Joshua Tree this year. The one thing we all knew is we love to ride and have a good time. And this time we even let the guys come! I think some of them were surprised how many women showed up solo to just ride. A few ladies that were still riding seat candy shared stories of how they are now getting their license or shopping for a bike. As we sat at Carlee’s talking over good food and laughter, I had to sit back and take it all in……… It was amazing. Once a group of complete strangers were know thick as thieves and planing another ride soon. I love motorcycles all makes and all kinds, cafe racers, street bikes, choppers, cruisers you name it I would ride it. I smiled so much yesterday that my jaw hurt! Come join us Nov 22 for a good time. Hope to see you on our next adventure! This entry was posted in CA, Harley Davidson, moto, Motorcycle and tagged Babes in Borrego, Babes IN Joshua Tree, babes Ride out, Belles On Bikes Moto Social, Belles On Biles, Harley Davidson, Moto, Motorcycle on November 10, 2014 by Belles On Bikes Social Club.